The beleaguered live action Akira movie may have found its leading man in Zac Efron. Remakes of cult classics tend to inspire equal amounts of delight and dread, with the balance shifting one way of the other depending on how things progress. Casting choices are often especially good at tipping the scales, and the rumors of who has been offered the lead role in the live-action Akira movies is certain to be divisive. Sources suggest that Zac Efron has been offered the part of Shotaro Kaneda, the teenaged leader of a Japanese motorcycle gang who is drawn into a word of intrigue and secrets when his best friend Tetsuo is discovered to possess immense and nigh-uncontrollable psychic powers. The character will presumably be renamed to something more Western sounding, along with pretty much everything else in the movie. In fact, one draft of the script scrapped the Neo-Tokyo setting of the original in favor of "New Manhattan." The screenwriter has changed since them, but it would make sense if the movie was set in the US. It's impossible to say whether Efron would be any good in the role, partially because Akira would be unlike anything he's done before, but mainly because we don't know what the part will actually be. 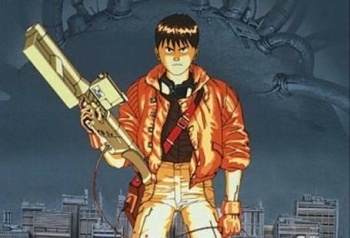 The two movies are supposedly based on the original Akira manga, rather than the 1988 anime, but Warner Bros. is said to be aiming for a PG-13 rating, which may mean a lot of content gets cut or otherwise altered. Ultimately, with so little information, any speculation comes with a pretty significant margin of error.